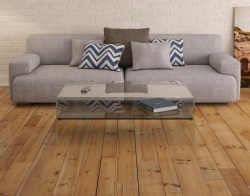 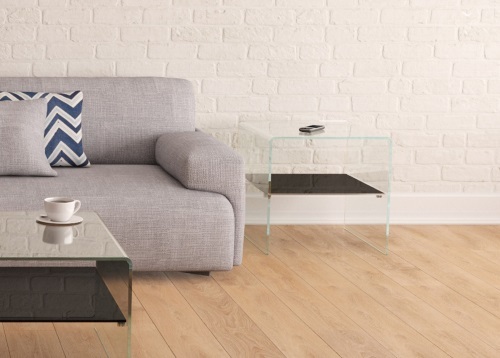 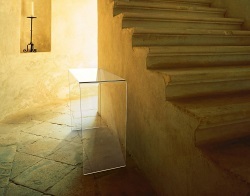 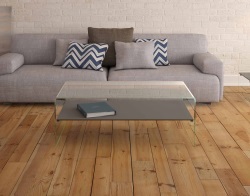 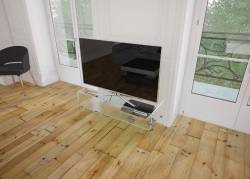 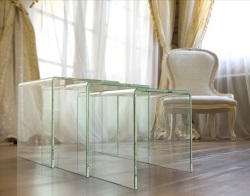 The Atena coffee table has an extra-clear glass structure, with a slightly green reflection. 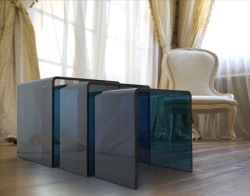 You can choose your own finishing touch by choosing the colour of the inferior glass plate. 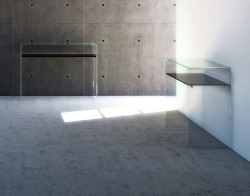 The photo here shows the glass plate in smoky grey.